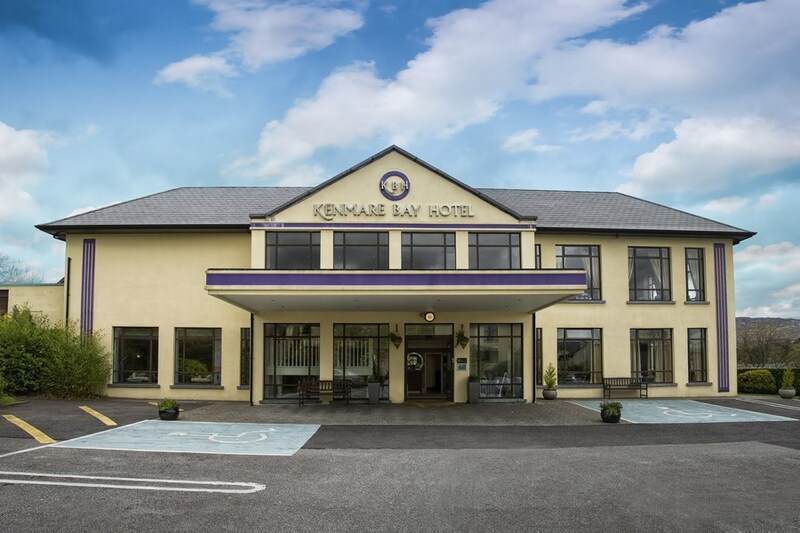 Welcome to the Kenmare Bay Hotel & Resort, your home away from home in Kerry. 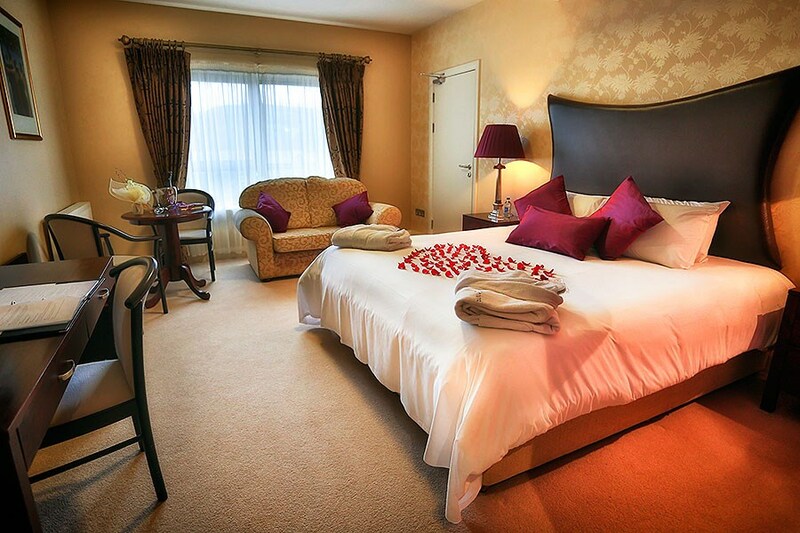 Tucked into one of the most picturesque corners of the Wild Atlantic Way, the multi-award winning Kenmare Bay Hotel & Resort is the ideal retreat for discovering the gems of the Ring of Kerry and the Beara Peninsula, hosting that fairytale wedding in Kerry, or relaxing with the family. A quiet walkway from the Hotel will lead you into the heart of Kenmare town in three minutes. Laid out in 1670, it is, quite literally, a small piece of heaven renowned for its extensive selection of fine restaurants, quality shopping, fine pubs and delightful walks. I think the hotel needs an upgrade in everything. Painting needs to be done and the food wasn't great. We ate in the bar restaurant and the starter was lovely but the main course was only ok. The buffet breakfast in the morning was only ok. A bit disappointed to be honest. Lovely hotel. Friendly staff. Food is excellent. The only fault is the beds are on the small side. really enjoyed our stay in kenmare bay hotel. Very friendly staff and service was very good. Dinner which was served in the bar at this time of the year was excellent . one criticism however was the red wine which was very good, could have been served in a proper red wine glass, and the heineken was flat. The room was very clean , modern and spacious ,however the bed was not the most comfortable. We had a lovely meal on last Friday in Kenmare Bay Hotel. The room was comfortable , very warm and spacious. The breakfast was full of choice and lovely. It was a most pleasant stay. Lovely hotel, staff were friendly and helpful, I left an item behind and they had it and posted it to me straight away. Rooms were clean, food was lovely. We got Dinner B&B for 2 nights here, the food was absolutely amazing. The staff were lovely and always doing their best for you. Anything we asked for we got. Only a short walk from the town. 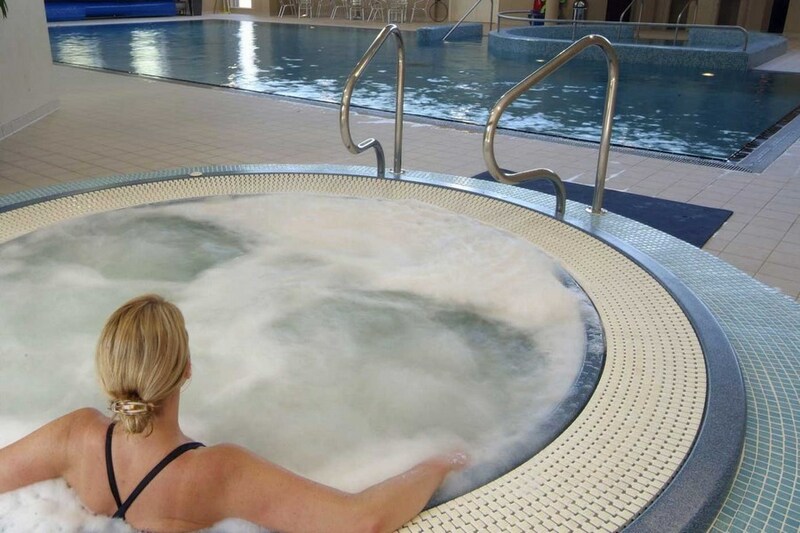 The leisure club is great, good size pool, jacuzzi, steam room and sauna. Part of the hotel is old but the renovated rooms are fine. They have newer rooms which looked lovely so depends on how busy they are as to which room you will get. Would highly recommend this hotel to anyone and would purchase as a gift for someone. We have been coming to the Kenmare Bay hotel for years and as always it was a wonderful break. The staff are so nice and it's great to see the same people there year after year. The food in the restaurant is absolutely delicious!! It's a very family orientated hotel with babysitting, kids club and a large swimming pool. Great for couples who want to relax too. Five stars!!! Excellent value, food was fantastic. Fabulous staff. Highly recommend. We had a lovely stay in this hotel on Friday 20th February 2014. The leisure facilities were very good. The staff were very helpful, friendly and professional. The dinner on Friday evening was lovely. The breakfast was also great. There was a very good selection of hot and cold buffet to choose from. This is very close to the town center just a short 3 min walk where you will find lots of lovely shops and restaurants. My husband and I stayed in the Kenmare Bay Hotel recently,this was one of our many times staying in this hotel and have never been dissapointed. We found we got real value for money here. Beautiful meals in your restaurant , pleasant staff, comfortable room and a relaxing swim in your leisure centre. We take at least six breaks a year like this one and the Kenmare Bay Hotel would be one of our favourites Keep up the good work. had a lovely time and experience in the kenmare bay. the staff where very friendly and informative regarding any questions. the food at breakfast and both from the bar and in the restaurant was beautiful with very generous portions. the water pressure in our bathroom was a little weak but this was our only complaint. we would return to this hotel again in the future. Stayed weekend 14th Feb. Brilliant evening meal on Friday. Great helpful staff who could not do enough. Only problem staying in old section of the hotel is that the carpet leading from lobby to the fist floor is shabby and dated and the curtains in our room 511 are stained and the chair aged. There are some doors with pieces missing from them. Overall we enjoyed our stay but for those small issues. Will stay again but will look for a room in the new section. Very clean hotel. Lovely room Brilliant food in restaurant. Very helpful and pleasant staff. our stay in the kenmare hotel was great, as we were attending a family wedding the room was nice ,breakfast was lovely and the staff were were very friendly,would stay there again. Lovely hotel. We were there attending a wedding. Staff great and very helpful. Very happy with the rooms, food etc. Thunbs up !!! Ar fheabas ar fad. Friendly, helpful staff, Clean comfortable room, good choices on menu & food delicious. The piece de resistance for us was that the lady in reception offered to dry our wet gear in an airing room. Hope to return soon. We thoroughly enjoyed our stay. Staff are very professional and friendly, and the food is excellent. We particularly liked that there was a very good, nutricious vegetarian option every night. I would recommend the new renovated section of the hotel as the rooms in the old section are pretty dark and uncomfortable. Our room was upgraded free of charge when we asked to be moved which was a welcome and kind gesture. Stayed for one night over the Bank holiday weekend with my husband and two year old. We stayed in a superior room which was lovely - also thought the staff were very friendly and accommodating with any requests. We ate in the restaurant and both had beautiful starters and main courses. Hadn't expected to get such a nice meal for the price we paid . Would have no hesitation in recommending this hotel. Great value for money. We enjoyed our stay at the kenmare bay hotel, the staff were friendly and the room (in the new part of the hotel) was lovely with a very nice bathroom with seperate shower and bath. The pool was busy but nice and clean, if going to the gym a few of the treadmills aren't working and in need of repair. We ate in the bay resturant, the staff couldn't of been nicer but the food was lacking a bit. I would stay in the hotel again but i don't think i would eat in the resturant. the location was perfect as we went on a drive towards sneem and the ring of Kerry the next day. I enjoyed my stay at this hotel.Food was fantisic would go back again. We have stayed in this hotel several times over the past few years and are always happy with the friendly staff and good food. Our room was very comfortable as well and my husband loves the pool. At these prices and with Kenmare just a few minutes walk away we will continue to come here for our short breaks. Our room was very dissapointing - it was old, shabby and very cold. We were in the old part of the hotel and would not recemmond it to be honest, the newer rooms seemed nicer to be fair. Breakfast was lovley on both mornings. Overall I would not stay at this hotel again. We had a great four day holiday in kenmare bay hotel ....great value for money and super hospitality wil def book again soon ! Really lovely hotel with a fab leisure centre. We had a great stay here and would definitely return. The hotel is in a lovely location, just a couple of minutes walk from town centre. All the staff are extremely friendly and polite. Lovely bar and restaurant, breakfast was very tasty. Unfortunately we were staying in one of the older rooms and the bathroom could do with an upgrade but it wouldn't put us off returning. Lovely hotel, stayed here for three nights and found it great base for day trips. Also very close to the town of . Staff v friendly, would return here. Had a fantastic weekend here, the hotel staff are very helpful and the health club and pool are excellent. The full Irish breakfast and the healthy option were also great. Will stay here again some time in the future. Big thank you to the Kenmare Bay Hotel. Fantastic hotel close to the town center, Staff very nice and can't do enough for you. Definitely worth a visit the scenery is outstanding with some great walking tracks close by. We had a short stay , one night , We were checked in by a friendly lady in reception but the directions to our room were very odd indeed, We we told to go accross the car park and up the path and our room was straight ahead, it felt like we were not part ot the Hotel at all, really felt dreadful, the room was fine, clean but nothing to rave about, Frankly would not recommend this hotel.